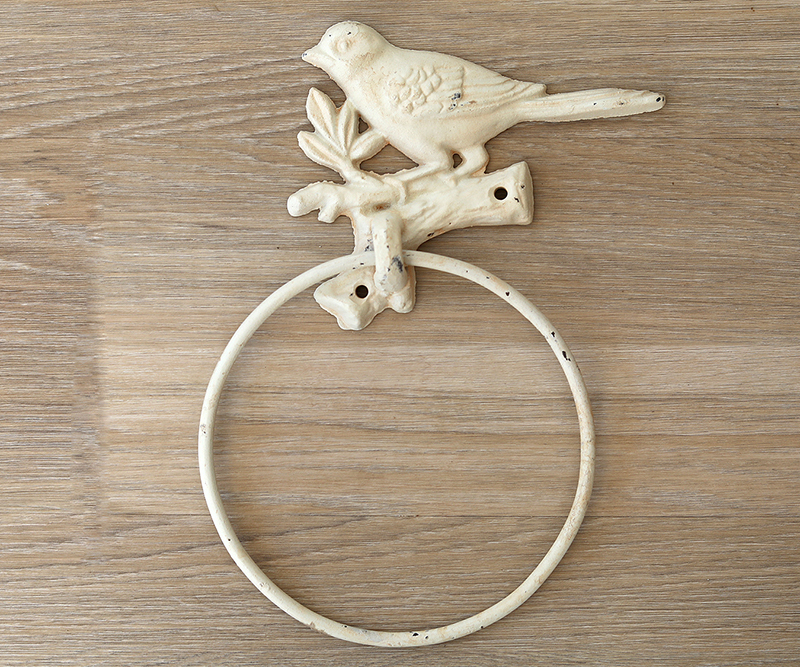 Handwoven from quality antique grey cane, this round storage basket with lid is both beautiful and practical. 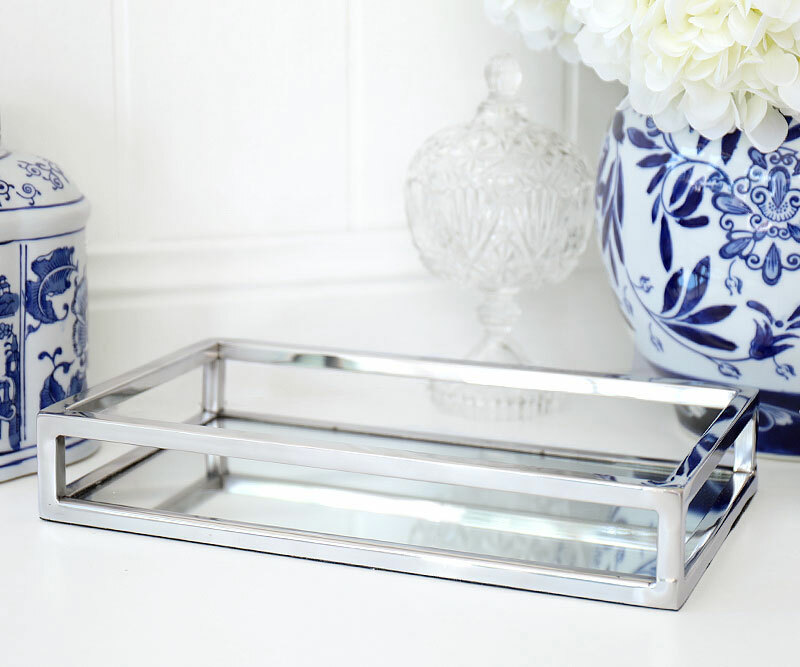 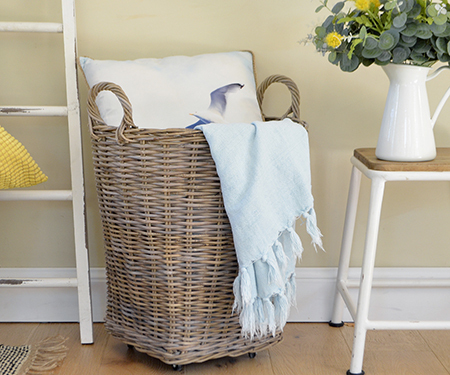 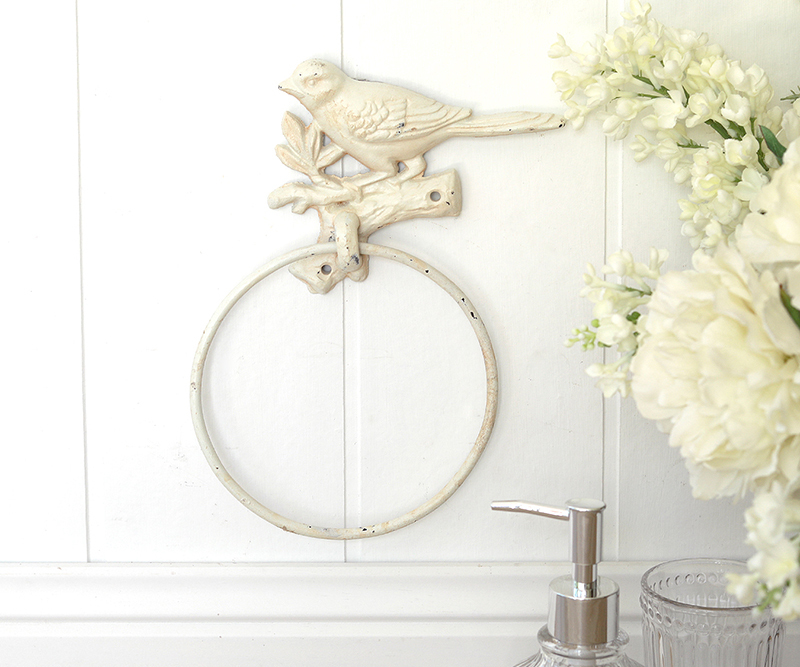 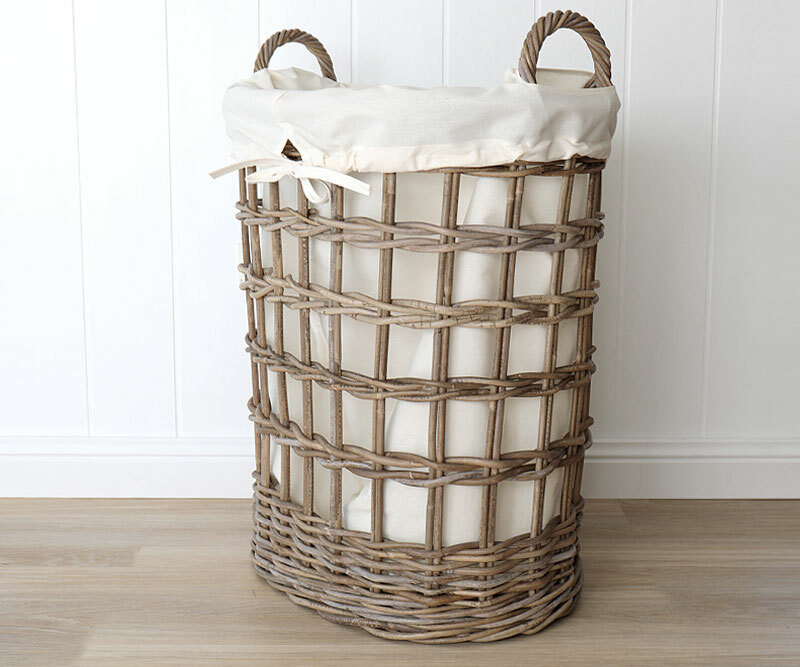 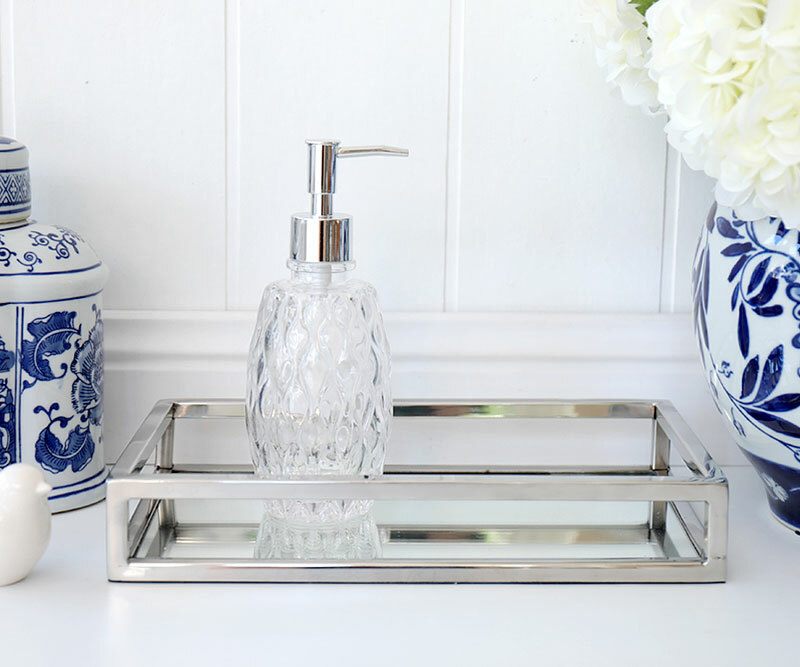 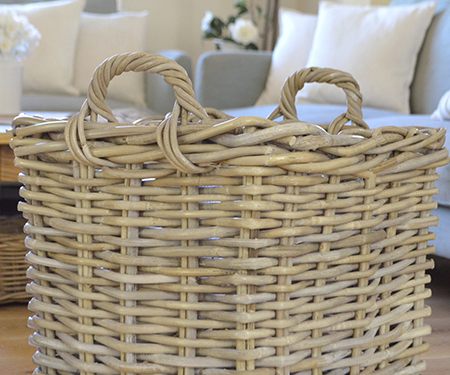 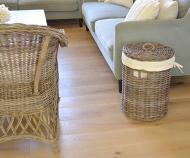 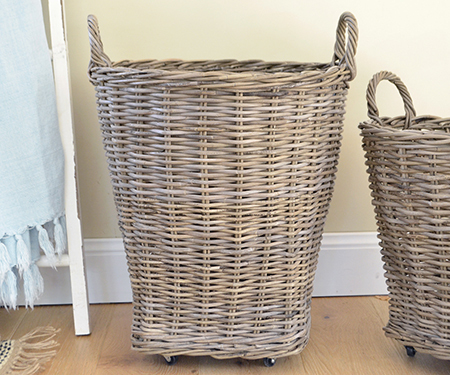 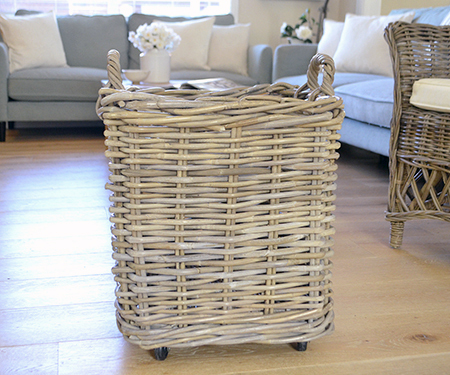 This is a classic laundry basket design and perfect in a French provincial style interior. 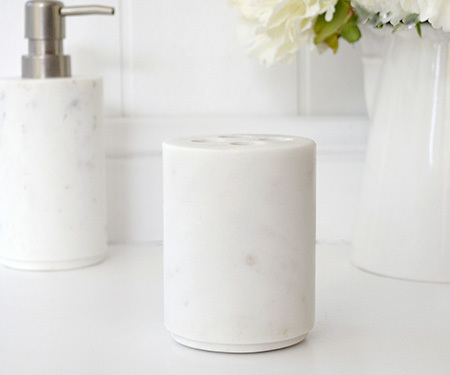 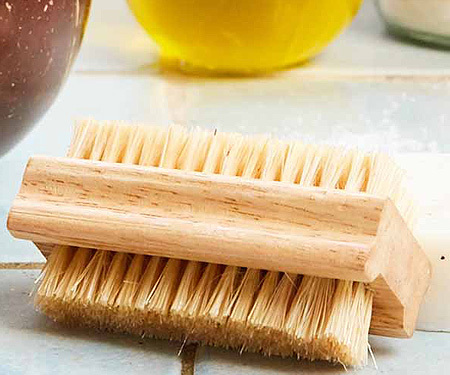 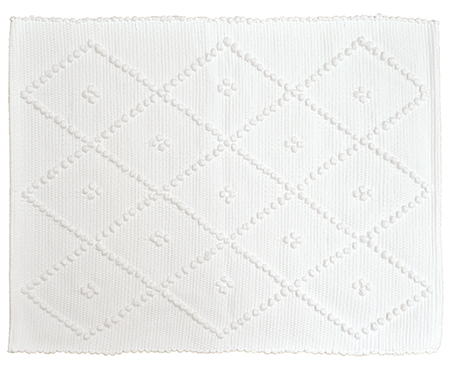 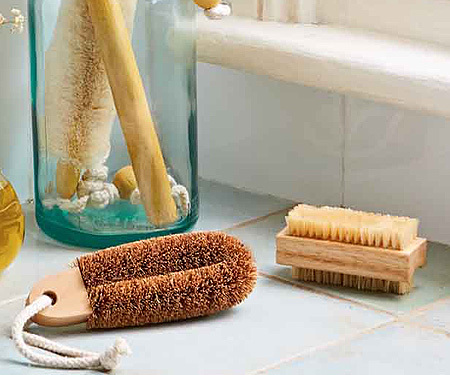 It comes with a natural cotton liner that you can remove if not required or for washing to keep it fresh. 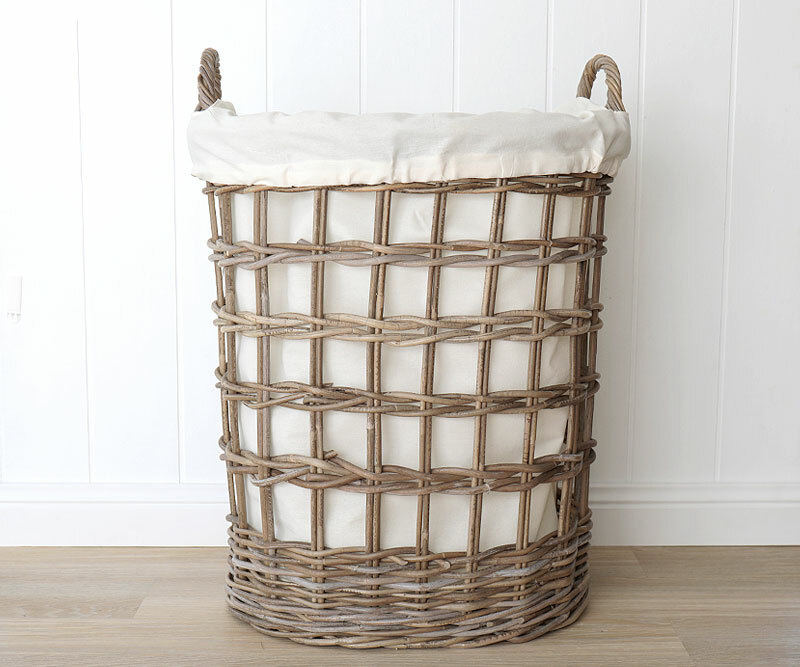 This generously sized storage basket is also useful in the living room for storing throws or toys. 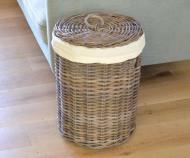 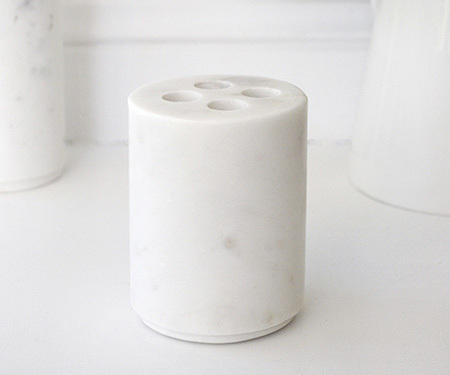 Measures 40cm in diameter and 55cm high with lid.